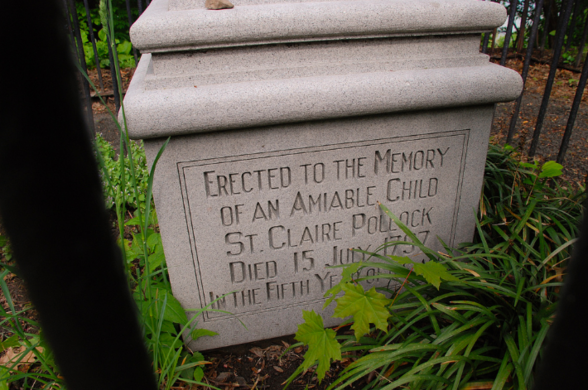 In Riverside Park, standing in the shadow of the looming Grant’s Tomb, is a small, touching memorial to St. Claire Pollock, a child who died in 1797 at the age of five. Revolutionary War casualties fill the only 17th century structure remaining in Manhattan. 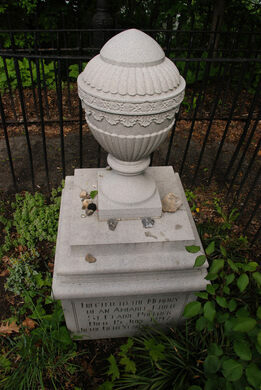 Soon after St. Claire’s death, George Pollock sold the family’s estate, Strawberry Hill. He wrote to the new owners to ask them to maintain the memorial: “There is a small enclosure … within which lie the remains of a favorite child, covered by a marble monument. You will confer a peculiar and interesting favor upon me by allowing me to convey the enclosure to you so that you will consider it a part of your own estate, keeping it, however, always enclosed and sacred.” His request has always been honored. In the 1870s, the memorial’s site became part of Riverside Park. The memorial has been replaced twice, in 1897 and 1967, because of deterioration. 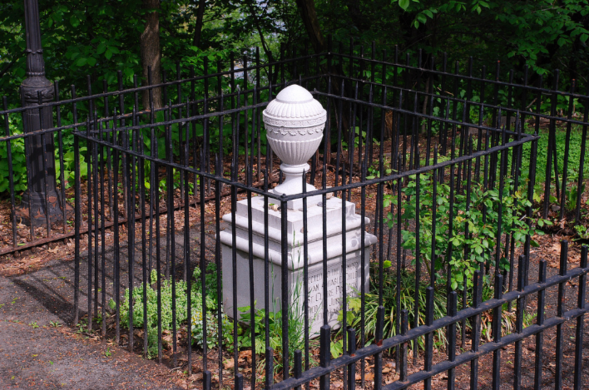 It is said to be the only single-person private gravesite on publicly owned property in New York. 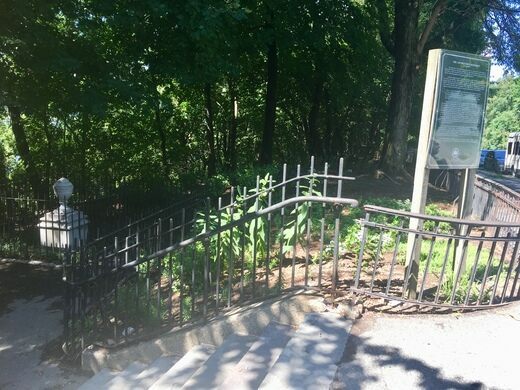 The memorial is a short walk from the Grant's Tomb visitor center. A historical marker is next to the monument.